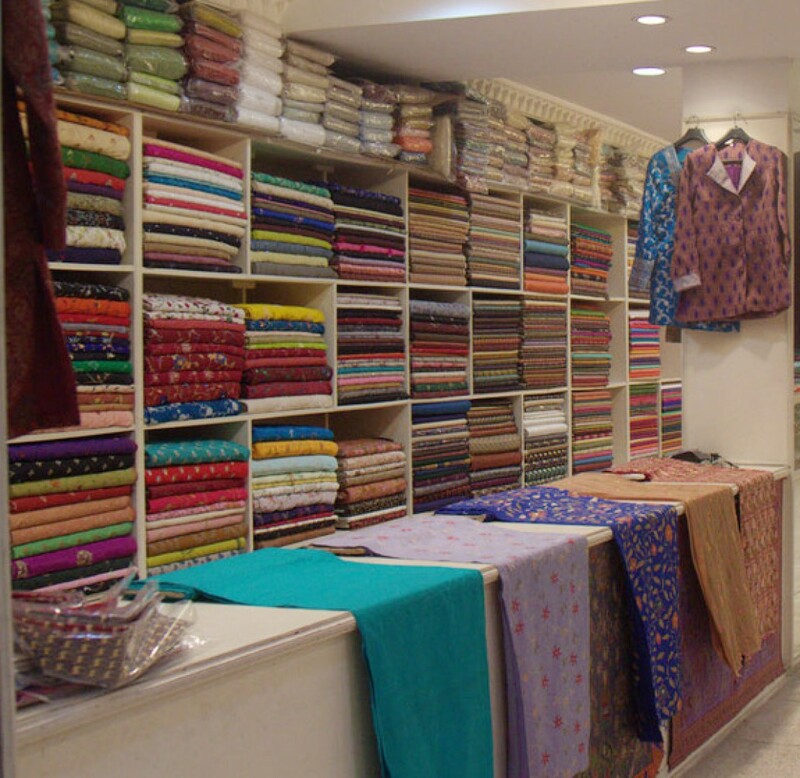 We’ve been through the materials and knots and weaves of carpets from India, but if we dig just a little deeper then we enter a portal to another land – a land filled with magical patterns and arabesques and twirling motifs that come alive and tell stories of the times when the carpets were first made. Thematically, the patterns and symbols can be broken into three broad types – geometric, vegetal and architectural. 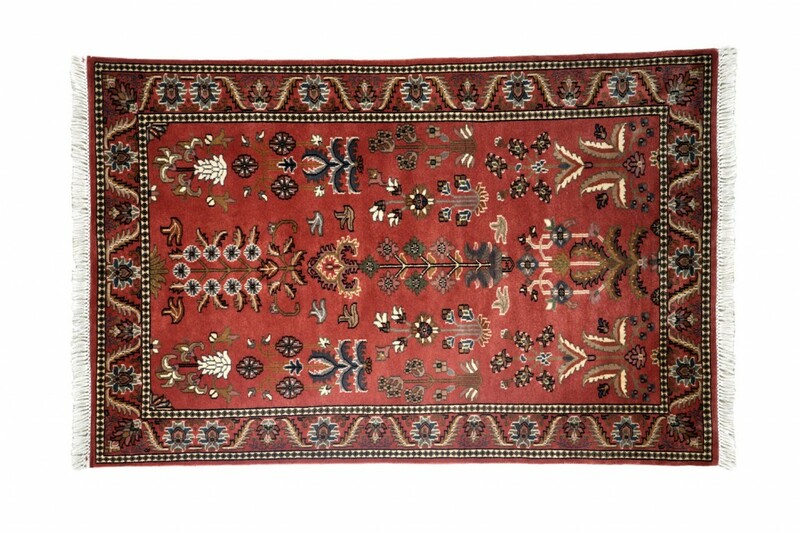 The earliest evidence of carpets are seen during the Safavid and Ottomon Dynasties, where they were gifted to other kings during the signing of treaties and often decoratively carried the emblem or court of arms of the rulers. In fact these were considered so valuable that they were never placed on the floor – hung on walls or spread of furniture instead. These royal symbols were simultaneous to the in famous ‘vase’ or ‘garden’ themed carpets, often seen in today’s carpets from India as well. 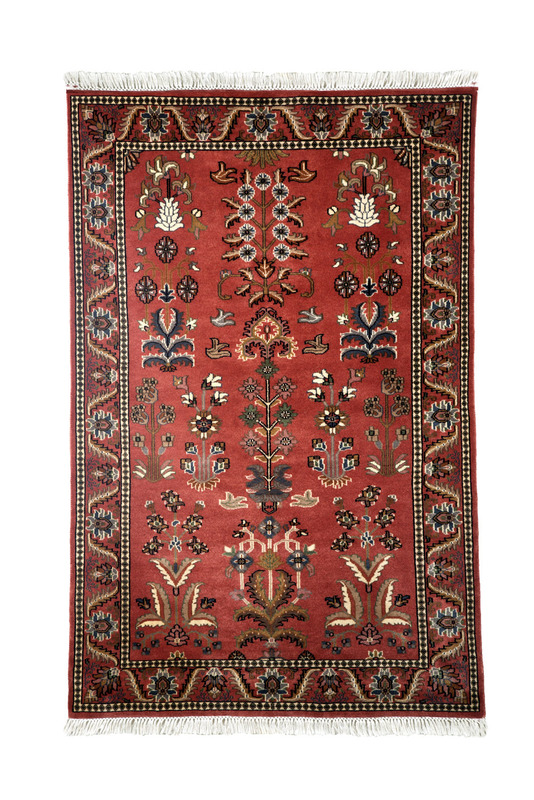 These represent the vegetal section of Persian and Indian rug designs – repeat patterns derived from creepers, flowers and buds were Persian favorites while the India added to this their mythological Tree of Life; a symbol of fortune and good destiny. The shift started with the introduction of literal floral illustrations, becoming more and more complex – resulting in lovely rosette motifs etc. 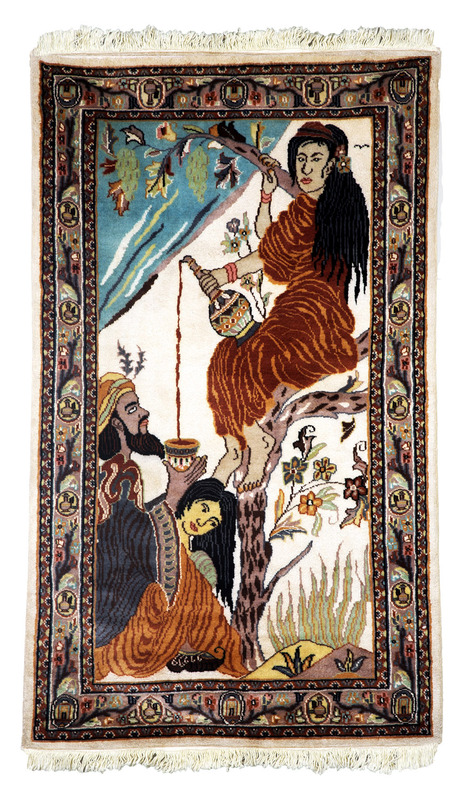 In both vegetal and geometric patterns which decorate carpets in India, the initial derivation is from illuminated manuscripts commissioned by the court. In stark contrast to the wavy vines and simplified flowers, we have the intricate binds of straight lines and angles; triangles and holy stars. 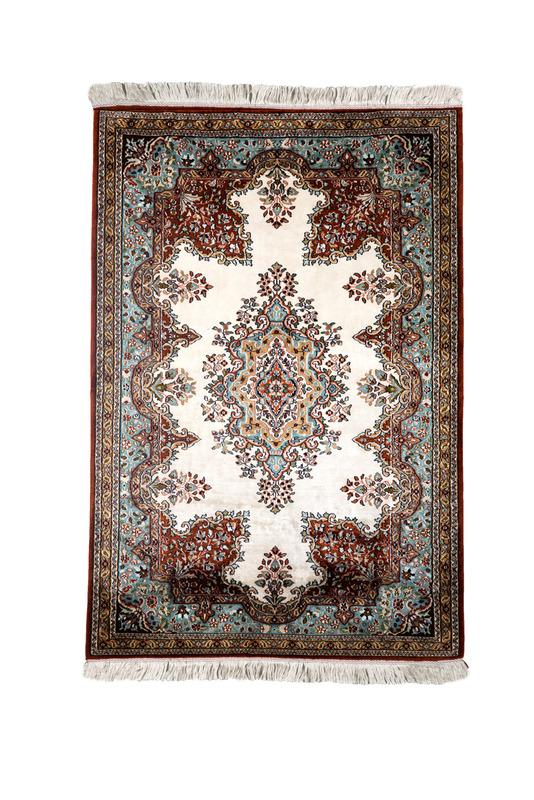 Nothing is more fascinating that the way the pieces all fit together on the surface of the carpets from India – like a room of mirrors reflected again and again a simple shape to form the complex texture kaleidoscopically. While Islamic artisans are known to be the ones to have mastered the skill of manipulating and using geometric patterns, the origins are proven to be from the Greeks and Romans. The interlacing, layering, combing and duplicating of simple squares and triangles has come to be an important aspect in architectural elements of the time as well. The last, architectural, is much like the geometric carpets from India, but they tend to be more recognizable and often lack the extreme symmetrical vigor – giving way to a space and dimension as entities of image making as well. 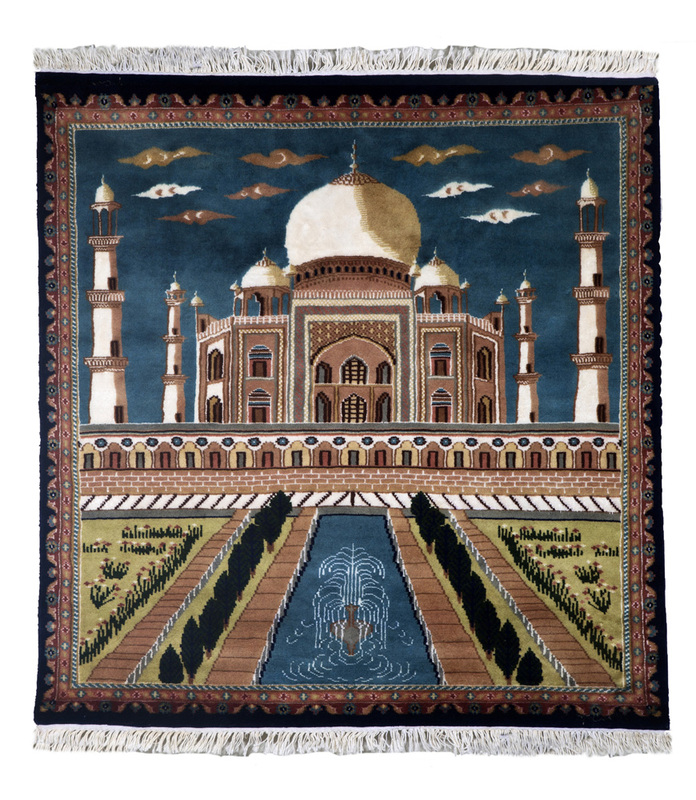 Besides these three there are also examples of animals and birds strategically placed as a part of patterns that cover the surface of carpets from India. Stylized lions and tigers, flamboyant birds – they all play a part in certain decorations. Interestingly they are used just like any other geometric or floral form, repeated in symmetry and formal balance. 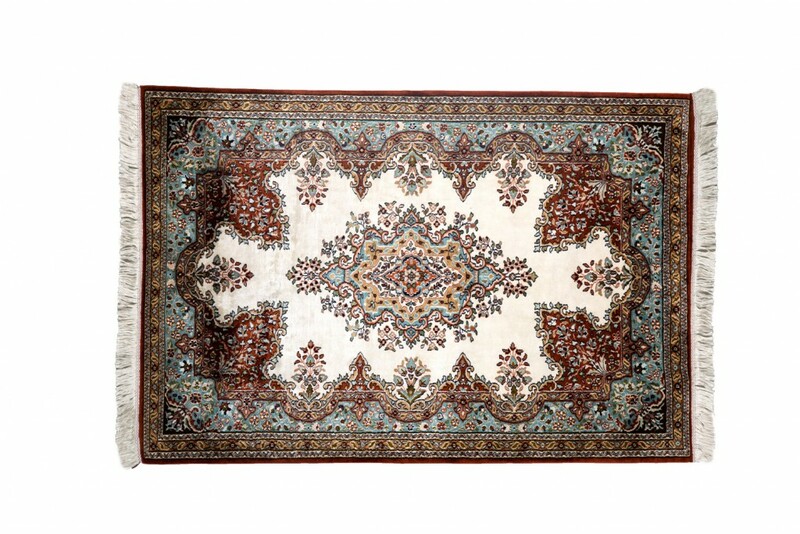 You now know only more layer under the surface when it comes to the stories behind carpets from India, a tradition that will look great under your coffee table or hung on your wall to spruce up a room with regal elegance and astounding beauty.